BUY SHERIDAN HYGRO TEXTURE TOWEL BALE PETAL NOW! Crafted from 100% cotton, the Hygro™ Texture towel from Sheridan utilises hollow core technology for superior softness and absorbency. The specialised Hygro™ spinning technology allows the towel to become loftier, softer and more comfortable with every wash. Featuring a contemporary diagonal ribbed pattern, this towel will be a bathroom favourite. 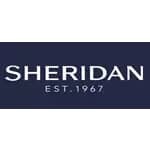 Sheridan towels have been crafted using premium materials from around the world. Be the first to review Sheridan Hygro Texture Towel Bale Petal click here to write your review.